A UK harm reduction group has accused the WHO of abusing its own rules to silence criticism of its anti-harm reduction policies, following a bungled public consultation by the UN health agency. The WHO’s move follows a series of other recent attacks on vaping linked to World No Tobacco Day, including a veiled threat of criminalisation in the Philippines, Meanwhile new data from France shows that vaping continues to be the most effective solution for millions of smokers around the world. If you don’t want the EU to start taxing all things vape then YOU need to act now and have your say! And yes this includes vapers from the UK because the way things are going Brexit – our leaving the European Union – looks to be further away than we might think! A team from the Hellenic Cancer Society, Greece, and the Catalan Institute of Oncology, Spain, has produced a study that ramps up fears of passive vaping/second-hand vape. Unfortunately, their flimsy results fail to support any such conclusion. 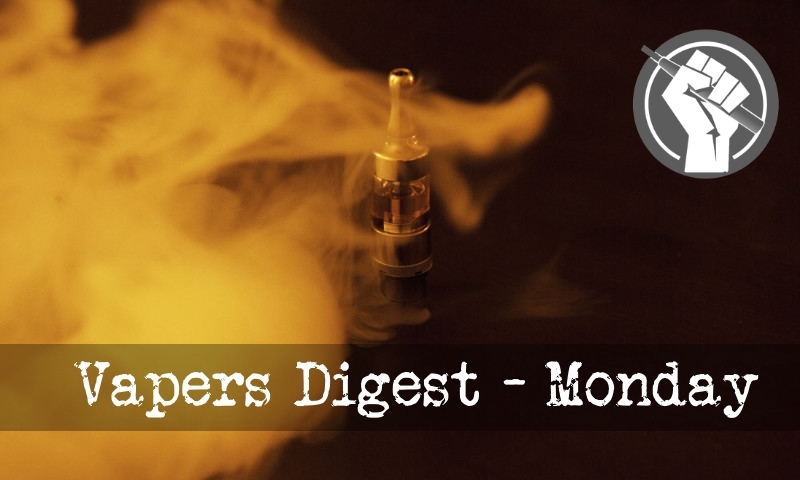 Samrat is one of the co-founders and directors of Association of Vapers India (AVI). You can also visit them also on Facebook and Twitter. Combusted tobacco products inhaled into the lungs are the greatest cause of health-related harms resulting from use of tobacco products. Though not welcomed by all tobacco control authorities, there has been support for including harm reduction strategies as one of the many traditional strategies for reducing the death and disability caused by tobacco use, particularly cigarette smoking. Nicotine, at the dosage levels smokers seek, is a relatively innocuous drug commonly delivered by a highly harmful device, cigarette smoke. May began with a “blitz” of enforcement action from the FDA and FTC against e-liquid manufacturers that use artwork which closely mimics or otherwise is directly appropriated from food, candy, or beverage products marketed to young people. Although intellectual property (“IP”) theft is not necessarily the domain of federal regulators, deceptive marketing (i.e., a nicotine product that looks like a beverage or food or candy) is. While we can certainly debate the appeal of certain images and branding to adult consumers, the reasons behind the actions taken by the FDA and FTC are no mystery. The government and Juul, the U.S. maker of electronic cigarettes, are gearing up for a legal showdown after Deputy Health Minister Yaakov Litzman said over the weekend he planned to ban sale of the devices. “The ministry’s stance is that a product that contains a concentration of nicotine that is almost three times the level permitted in the European Union constitutes a danger to public health and justifies immediate and authoritative steps to prevent it from entering the Israeli market,” Litzman said. Well-intentioned as it may have been, the U.S. Food and Drug Administration’s recent crackdown on retail sales of the popular JUUL vapor device to minors is a misguided strategy that will likely do more harm than good in the quest to reduce the incidence of smoking-related illness and death. Recent studies and statements from the American Cancer Society and the National Academies of Sciences state that e-cigarettes and vapor products are less harmful than traditional, combustible tobacco products. Filipino vapers gathered together in Quezon City on May 28 for the 1st Summit on Harm Reduction and pushed for their right to safer alternatives to smoking. The summit organized by The Vapers Philippines at Sulo Riviera Hotel discussed the need for regulation and cooperation among players in the electronic cigarette sector. Vaping is an act of inhaling and exhaling the vapor produced by an e-cigarette—a battery-operated device which vaporizes a flavored liquid made of water, nicotine, propylene glycol, glycerol, and flavorings. Higher excise on tobacco do not necessarily lower smoking rates, but e-cigarettes or vaping would. This was the observation of Nancy Sutthoff, spokesperson of the International Network of Nicotine Consumer Organizations, who was recently in the country to address the first Summit on Harm Reduction held at the Sulo Riviera Hotel in Quezon City. Citing the case of New Zealand where she is from, Sutthoff said the government increased the excise of tobacco by 10 percent every six months. Food and Drug Administration (FDA) Director Ana Rivera, Center for Cosmetics Regulation and Research, said Thursday that all e-cigarettes advertised as smoking-cessation devices are technically illegal, as not one brand has successfully applied for a Certificate of Product Registration. Missoula County commissioners are being asked to follow the City of Missoula’s lead in approving rules banning the use of e-cigarettes indoors. Missoula approved the addition to the city’s smoking ban earlier this spring and now the Missoula City Council Health Department is asking the commissioners to follow suit.